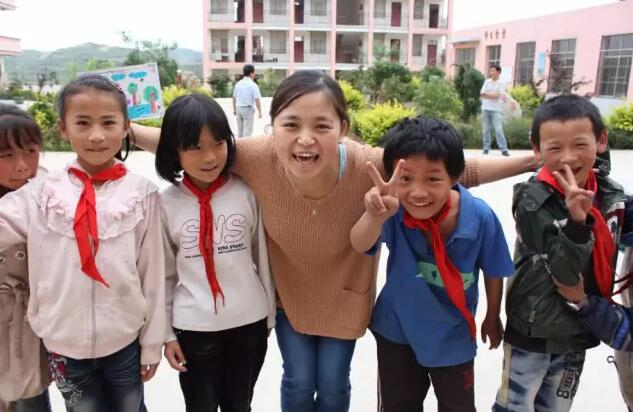 Transitioning from the profit-driven business world to the eye-opening NGO sector, the once disoriented Yang Yang has found her way. Adding grant-making to the functions of the TAE Charitable Foundation, where she currently works, has offered both the foundation and Yang Yang a chance to embrace openness and forge a closer relationship with the grassroots community. With her business background, Yang Yang has also sensed new possibilities for merging business and public welfare to find diverse solutions to social problems. At the end of 2013, Yang Yang, then the PR manager of the TAETEA Group, was unexpectedly assigned to the TAE Charitable Foundation. She felt at quite a loss for about the first half-year. The TAE Charitable Foundation was founded by the TAETEA Group. It is relatively independent, yet very much marginalized. On the other hand, Yang Yang had already worked in the business field for eight years, five in advertisement followed by three years in PR and branding at the TAE group. Joining the foundation meant an utter change in her job description. “Did I fail at my previous position?” Yang Yang wondered. Nonetheless, Yang Yang began to visit local NGOs in order to familiarize herself with the projects and operations of foundations. As her understanding grew, she realized that this was exactly the new start she was looking for. When working in the business sector, she always felt that she was laboring for others and for money, and she felt quite disconnected from social issues. Now however her work is not only pertinent to the TAE Charitable Foundation, but also to the social problems that the foundation aims to address. “Social problems actually matter to every individual. The third sector is where people can implement their civic rights.” Gradually this job turned into her inner drive and a source of happiness in her life. Within the TAE Charitable Foundation, Yang Yang is in charge of volunteer management, grant-making liaisons and publicity, and gets more involved in detailed project operations in 2015. During these last two years, the foundation’s operating modes have begun to change as well. “The foundation was very self-confined two years ago. The projects were internal and operated mainly by the foundation itself” says Yang Yang. It hardly worked with other NGOs. But since last year, the foundation has been building up a sectorial support platform, and thus dealing with many grassroots NGOs. It has therefore built up a reputation in the NGO sector. The more she interacts and cooperates with grassroots NGOs, the more like-minded partners she finds. Since Yunnan Province had no professional organizations focusing on the promotion of reading, TAE Charitable Foundation contacted Miaomiao (Qiu Shuimiao) and Hu Mingguang from Hangzhou’s 6He Charity online, and worked with the charity’s two project offices in Guizhou and Anhui Provinces. Yang Yang reckons that if both the foundations and the grassroots NGOs maintain an attitude of focusing on mutual benefit, this will lead to smoother communication and cooperation. Originally, the TAE Charitable Foundation focused primarily on providing Hope Primary Schools with book rooms, computers and other facilities. The cooperation with Hangzhou’s 6He Charity, on the other hand, aims to step up the soft power of education through the promotion of reading. At present the TAE Charitable Foundation, due to a shift in its strategies, hopes to make use of its strong points in order to support charitable activities undertaken by undergraduate students. In 2010, the TAE Charitable Foundation worked with universities and built charitable tea-rooms, providing part-time job opportunities for students at the outset and then adopting a more self-sustained strategy by recruiting students, who are interested in traditional culture or starting their own businesses, to run the tea-rooms themselves. Yang Yang thinks that the Charitable Tea-Room project has achieved the best results among all the projects of the TAE Charitable Foundation, but still needs improvement if it is to expand its scope and impact more students. The TAE Charitable Foundation currently has 88 partner universities across China. In future it plans to promote the establishment of student societies and participation in charity activities through Charitable Tea Rooms. The foundation will provide funds and training, and therefore essentially abandon the earlier approach of granting funds directly to financially challenged students. This change in strategy echoes the shift in the foundation’s strategy from pure project operations to a mix of grant-making and project operations. The grants provided annually by the foundation amounted to around six million last year, and are expected to be around eight million this year. Yang Yang earnestly hopes that the proportion of grants can become even higher so as to maximize their effects, given that the foundation has a solid network within university campuses and it is able to nourish a number of excellent public welfare societies through cooperation with universities and other NGOs. There are eight project officers in the TAE Charitable Foundation, all coming from different backgrounds. Most of them are new to the NGO sector and are in urgent need of capacity building and professional support. “I have my strong points in advertising and creativity, which lend themselves to NGO work, yet I lack certain skills in other aspects.” says Yang Yang. Working at the foundation demands a variety of knowledge. Expertise and the cultivation of competency are essential to a professional in the NGO sector. The foundation organizes several internal trainings a year, and sometimes it even organizes external trainings, which usually meet employees’ requirements. Yang Yang participated in a training session for social entrepreneurs at the British Council, an eye-opening event in terms of social enterprise and innovation. During the session she built lasting relationships with fellow NGO workers, especially ones from Yunnan Province like herself. There are few private foundations in Yunnan Province, making it difficult to communicate within and outside of the sector. The annual participation in the China Charity Fair in Shenzhen is the main opportunity for communication with the outside. Apart from the CCF, the foundation exchanges information online with other members of the China Charity Alliance. Yang Yang believes that what project officers need most is to gain more practical skills in areas like project surveying, thinking tools and group decision-making. With regard to the results of the foundation’s projects, Yang Yang says that since the grant-making projects of TAE Charitable Foundation began only about a year ago and only two projects have currently been completed, we cannot yet evaluate the results. The projects operated by the foundation itself take longer, but also lack evaluation. “I am not entirely satisfied, but I am not sure where the problem lies. Anyway, there is still room for improvement,” adds Yang Yang. How the foundations operate directly impacts the development of the whole NGO sector. Improvement in foundations’ performances depends on the capacity building for frontline project officers, whose voices the sector should respond to. Concerning sectorial development, she thinks the tendency towards professionalism is more and more palpable. Passion or money is no longer the only drives. Foundations must strengthen their relationship with grassroots NGOs and the government to achieve an integration effect. The merging of business and public welfare has produced a larger variety of problem-solving methods. Facing these changes, Yang Yang says she has reached a bottle-neck and is pondering on future steps such as further postgraduate education or other means of achieving self-growth. But when it comes to a detailed plan, she still needs more time to see what opportunities lie ahead. Introduction to the author: Yang Yang, who was born in Yunnan in 1983, studied advertisement as her undergraduate major and became interested in movies and television. She worked in the production of TV programs, brand marketing and promotion, participating in the production of several grand galas and reality shows by Xing Kong TV, SMG and Zhejiang TV. She joined the TAE group in 2011, working in marketing and then PR. At the end of 2013, she became a member of the TAE Charitable Foundation and began her career in the NGO sector.